Anyone else craving a bit of adventure? I love escaping for the weekend and exploring a new city or town, even if it just an hour or so away, sometimes that’s all I need to satisfy my endless wanderlust. 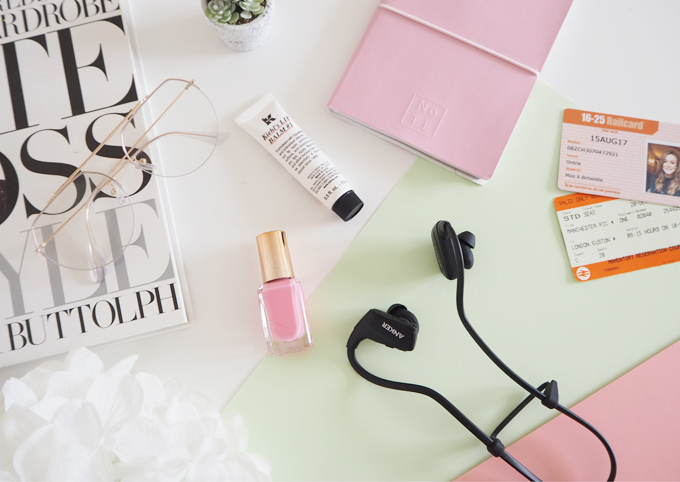 With a exciting trip to London planned this weekend, I thought this was a great chance to share my top tips for surviving traveling via train & some essentials I cant live without. I am always conscious of the damage public transport can do to your skin and health, so with this in mind I always carry a generous amount of toiletries with me when I travel. 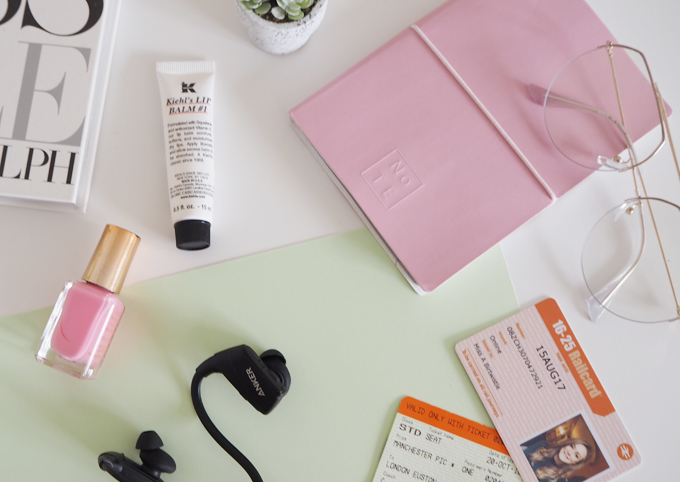 Among my must have supplies is my favourite lip balm, Kiehl’s Lip Balm #1, it is the perfect travel size and the only balm that keeps my lips hydrated even under harsh train heating conditions. 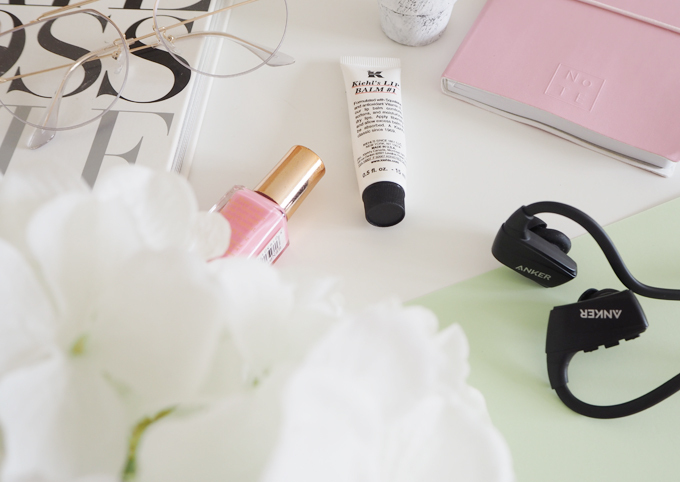 Hand moisturiser is always in my bag too, I hate having dry hands so a little tube of hand cream is a must. A small bottle of anti bacterial hand gel is the perfect size to use on the train, especially when it can be hard to keep your hands clean when traveling. I love grabbing a moment to catch up on some life admin, and a train journey is a perfect chance to get orgainsed. 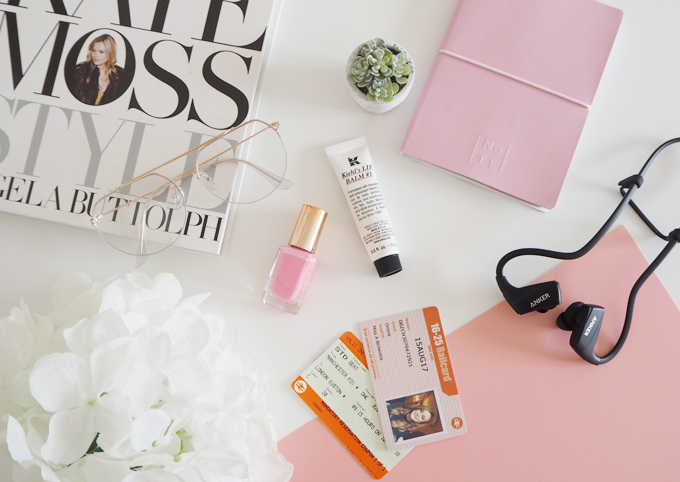 Taking a diary with me on my travels means I can make plans to meet up with friends, appointments or holiday dreams to kill time on the journey. I have recently bought some headless ear phones, and they are honestly the best gadget EVER! I love taking them to the gym as well as on my travels, they make watching my iPad or listening to music streamline and easy. They connect via blue tooth and block out any surround sound, perfect for traveling. 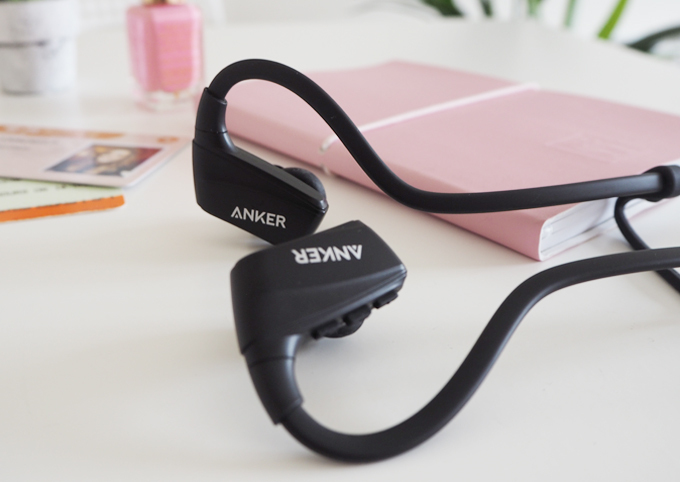 Mine are from Anker. Don’t forget to check out Tripping.com if you are planning a get away this winter.